Today started clear and cool and with about 1,000 steps, no joke. Not the way you want to get to 12, 500′. But, I must say, the work was worth the pain. High up on the mountain, we had a gorgeous view of Lhotse, the fourth highest mountain in the world, and Mt. Everest, with it’s summit fully visible. We visited Sagarmatha National Park Museum, which was very well done. I do have to say, though, that the statue of Tensing Norgay with a “no climbing”sign on it did make me laugh. 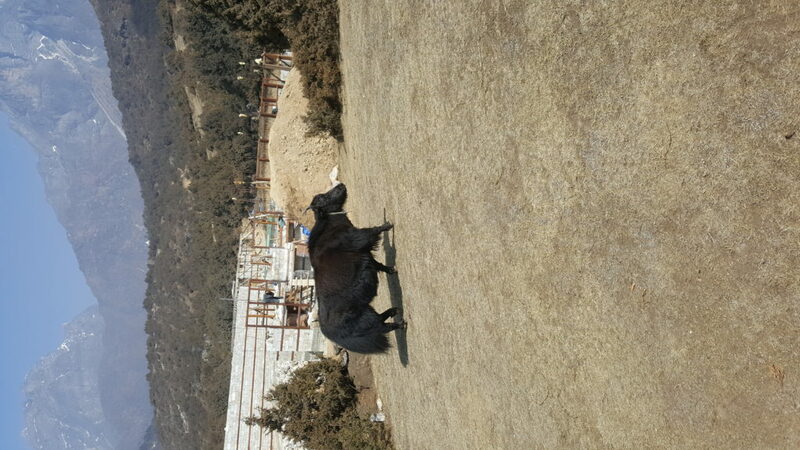 I had a lovely yak encounter and oddly enough, we no longer find it odd to share a narrow staircase with a wandering yak or cow. We spent the afternoon in the shops of Namche, which are so cool. Some you’d find in a cool area of LA and others you would expect to see in Tijuana. This place is awesome. Had coffee in a swanky coffee bar (I don’t drink it but it was warm and I was sick of tea). 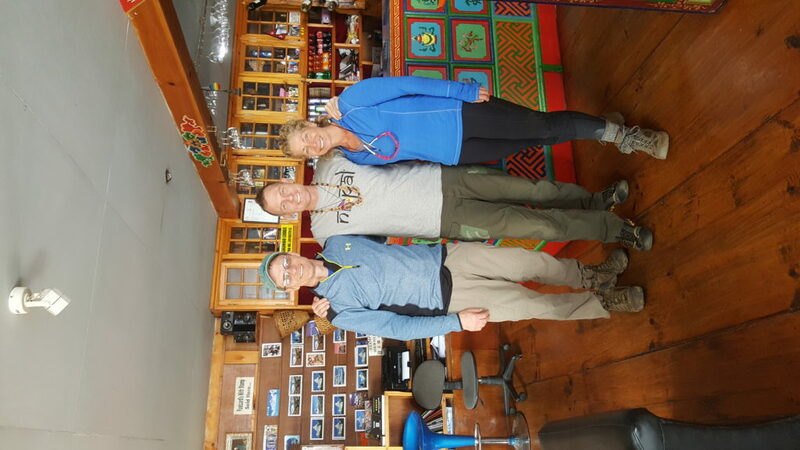 Back at our lodge we met Anthony McClaren, who is here for his expedition up Everest. He’s almost done with all seven summits. Young lawyer from LA whose dad passed.from Parkinson’s so he started www.climbaboveparkinsons.net. quite the story, quite the guy. Check him out! I had an amazing conversation with him that had us laughing and crying..seriously, the guy made me cry in no time flat. Ill write about him often.